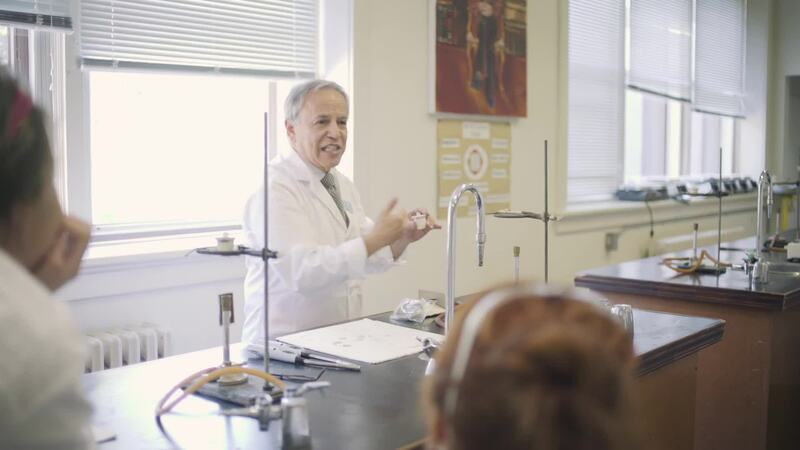 We believe that the best kind of education is one that combines a world-class curriculum, passionate teachers, innovative teaching methods and small class sizes so every student gets individual attention. Elmwood’s curriculum exceeds the expectations of the provincial curriculum and is more rigorously evaluated than any other school in Ottawa. Our standards are evaluated by the International Baccalaureate (IB) Programme, the Ontario Ministry of Education and Canadian Accredited Independent Schools (CAIS). Elmwood’s academic program continues to surpass the expectations of each regulatory body. At Elmwood, we encourage and challenge our students to strive for academic excellence and inspire them to develop a lifelong love of learning. We know that this strong foundation of knowledge and skills is crucial for success in the 21st century. Our outstanding faculty draws on best practices in girls’ education as they inspire students to be principled, knowledgeable, and reflective life-long learners. From the early years to graduation day, Elmwood students benefit from a program of study that is student-directed, inquiry-based, rigorous, relevant and specifically designed to prepare students for life and work beyond the classroom. them for life and work beyond the classroom. The International Baccalaureate Programme is undoubtedly the best educational programme available today to help prepare our students to face the challenges of the 21st century. It is the gold standard in international education and has been shown to provide the best preparation for the most competitive universities.